It was good to see the lads from PNE out golfing this week. They had lots of good comments about the course and hope to be playing more and more over the summer months. Having tried the Cobra F6+ on the range, I wasn't really sure what I was getting myself in too the day that I took it out on the course. The feeling of the club on the range was a little hit and miss but then I guess that's the same anytime you swing a new club. Andrew went through the set up options of this club of which there are many to suit all level of golfers; I very quickly found the perfect set up for my swing. I hit a reasonably long ball off the tee and this club really enhanced that distance and seemingly gave me much more control off the tee. My usual wayward drive is a big slice and whilst this driver did not eliminate that completely, it made it far less terminal that my current driver due to the spin reduction that the modern club offers. I have tried the club for several rounds now and each time my confidence has increased on being able to use a swing that feels natural, rather than a manufactured one that I currently have with my driver. If you are looking for a new driver, the Cobra F6+ should be at the top of your list, it offers excellent looks, feel and control. It is also a very forgiving club which is a must for me as a 10 handicap golfer! Hit a good one with this driver and you won't even know you have hit it, I liked that and I would highly recommend this this to anyone of any level! Throughout May and June, we will be running our Complete Equipment Solution. This gives you the opportunity to have a FREE fitting and a FREE after sales lesson with one of our PGA Professionals here at Preston Golf Club. 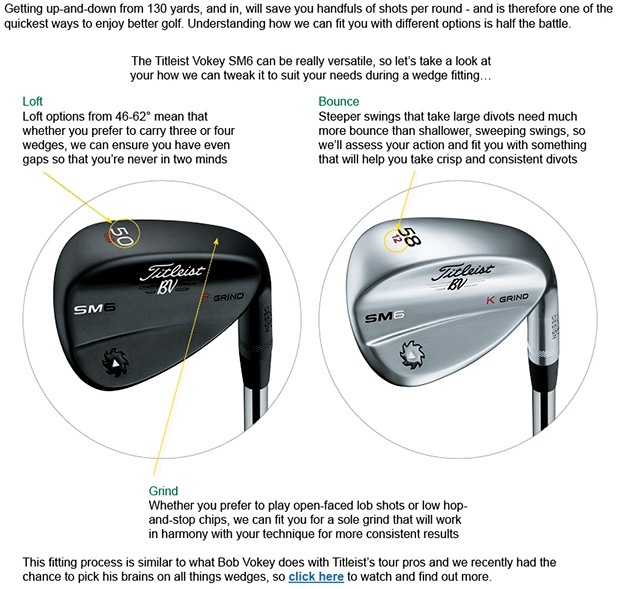 Firstly we want you, our customers, to experience the benefits of a custom fitting, and how much it can improve your game. For example even in the last few weeks we have had customers gaining over 20 yards in distance, and reducing the dispersion of each shot, just through using the right club, shaft combination as a result of a custom fitting. Secondly, we want to give back to you to thank you for your continued custom. The after sales lesson will hopefully help you settle into your new clubs, so you can hit the ground running from your first round. 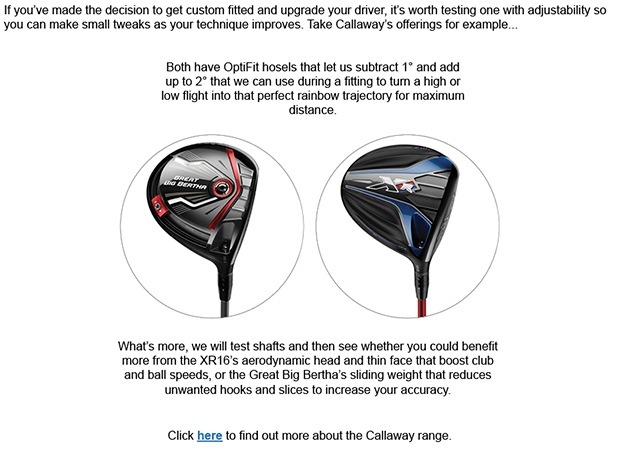 We are running this offer in conjunction with Callaway, Mizuno, PING & Titleist, so why not click here to find out more. Click here to get in touch if you would like to arrange your FREE fitting. Gary would like to extend his offer of FREE 15 minute golf lessons to both members and friends for a further 14 days. A calendar of golf classes is currently being created for the golfing season. All dates for the above sessions will be posted in next weeks newsletter. We will have further updates on the swing room progress for you next week as this project nears completion. Our Lora has a big following of golfers seeking improvement in their game and they come from all over Lancashire to seek her advice. Her mass of experience could help your game to so why not book a lesson! "The shaft on my beloved G 15 snapped resulting in the search for a replacement as the original shaft was no longer available. I decided to go the flight scope route and boy was I glad that I did! The club that suited me best was the PING LS Tec Driver. You would think that you would simply replace the stiff shafted 9 degree lofted G15 driver with the same spec in the new club. You would be wrong. The LS Tec stands for low spin. Less spin at impact results in lower trajectory. Stiff shaft and 11.5 degrees is now best for me resulting in improved length and forgiveness irrespective of slightly less club head speed from my fitting 5 years ago. I guess that you cannot fight technology!" Stinson drives are up by 25 yards with Callaway XR16. Since last week when I wrote a little piece about price comparison and who is best placed to assist you with your golf related purchases, many of you have been in to chat about how we can help improve your golf, your kit and make the whole golfing experience better! We are here to help you and we have a mass of valuable experience which you can take advantage of so, lets get on it!! At times I bring this to discussion as I am proud to be able to say that we can compete with the big world net on prices. As many of you tell me, price is relavant but there is more to it than just price, and how true that statement is! Ask yourself who is best placed to advise you on your golfing needs? The people who know your game? The people who know where you play? The people who are experts in golf swing? Those who are experts in club fitting? The people who care about your golf? I would say that these are all important when seeking advice regarding your golf, and if you can get the price and the right advice from your professional staff, then we've cracked it! 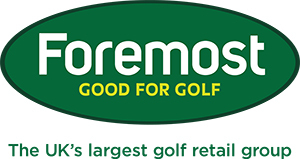 Golfers who know buy from their pro!! Thanks to all our fab members who give us great support and lets make your golfing year a great one!